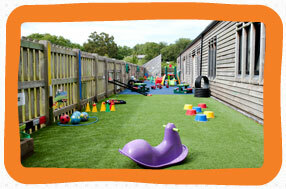 The Den at Elan Nursery offers a fun, stimulating and secure environment for children attending Steyning & Upper Beeding Primary schools. Our qualified staff actively promote the Playwork Principles which recognise that children’s learning and experiences are enhanced if they are given access to a wide range of opportunities with the children freely choosing a variety of play opportunities. Resources, including arts & crafts, their own ICT area (which includes computers, a Wii, DVD player and karaoke machine), their own homework room, numerous board games & construction activities are accessible at all times. The children can also access our large garden, natural meadow and enjoy frequent trips out on our mini-bus to the local parks and woodland. Plus the children all get a home cooked meal at tea time that is health and nutritious and there is a fully stocked fruit bowl for snacking at all times.